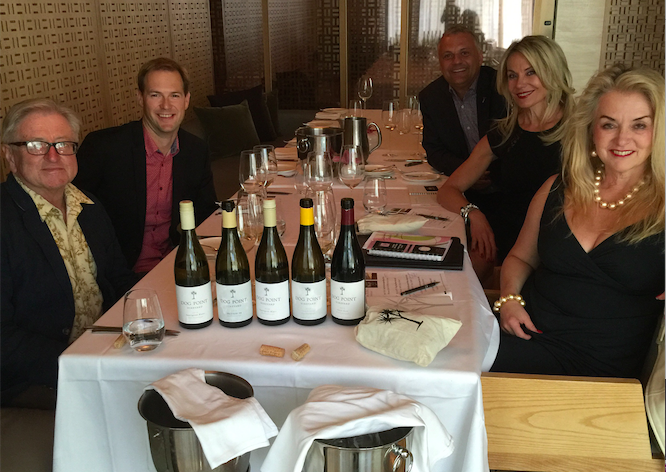 Clos du Bois Calcaire Chardonnay 2012, Susanne’s Wine Pick. 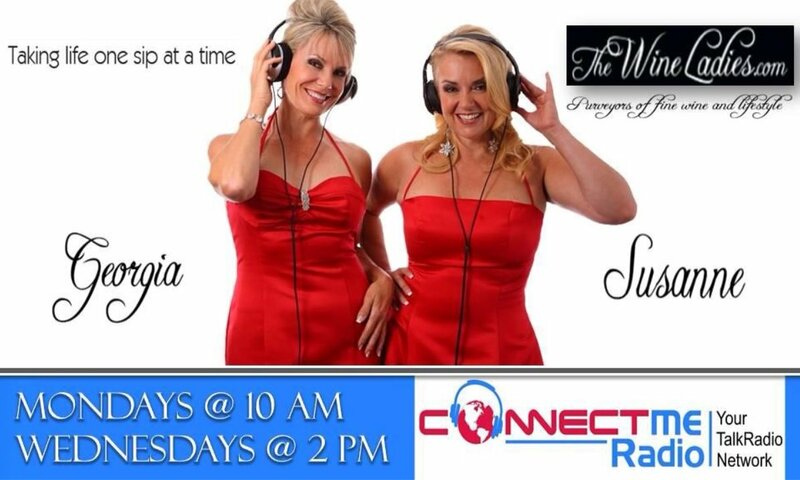 Listen to Susanne’s wine review at 5:39 minutes in the show. I have a very rich, flavourful juicy, vibrant and delicious wine with tremendous power and delight and it is a white wine. The Clos du Bois Calcaire Chardonnay 2012 was just released here in the first week in August here in our market. It won’t be around for too long. 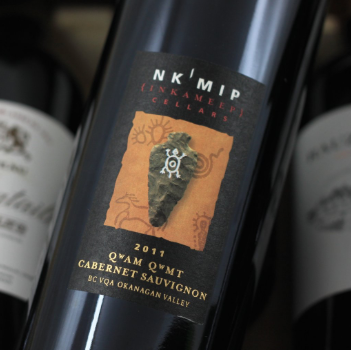 The grapes were hand harvested, whole-cluster pressed and then barrel fermented in French oak. The wine aged in the barrel “sur lie” for 9 months and then bottled. The wine is rich, juicy, full bodied, with aromas of pear, apple and notes of vanilla and oak spice. 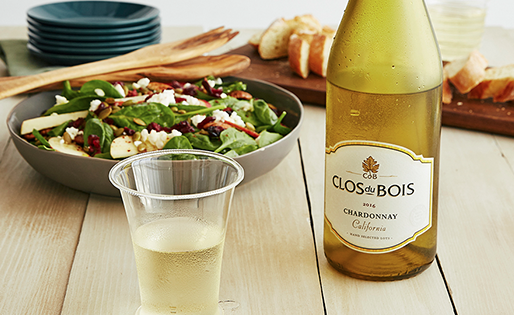 Flavours of more pear, hints of lemon and a touch of brioche with a lasting finish. Celebrating local summer bounty and bubbly and masterly crafted small batch spirits! We are in the month of August, the middle of summer and as lovers of food, great food, wine and drink… like most everybody, one our most favorite things about the summer is all the fresh, amazing local produce we get to enjoy here in Ontario. And so today’s show is all about celebrating our summer and our fresh, local bounty with a few knock out recipes, a very unique and special bubbly, and some local small batch masterly crafted spirits and cocktails. https://www.thewineladies.com/wp-content/uploads/2015/08/Screen-Shot-2018-04-11-at-6.43.00-AM.png 315 514 Susanne Seelig-Mense https://www.thewineladies.com/wp-content/uploads/2017/08/WineLadiesLogoTransparent.png Susanne Seelig-Mense2015-08-24 02:07:522018-04-11 07:03:13Clos du Bois Calcaire Chardonnay 2012, Susanne's Wine Pick. 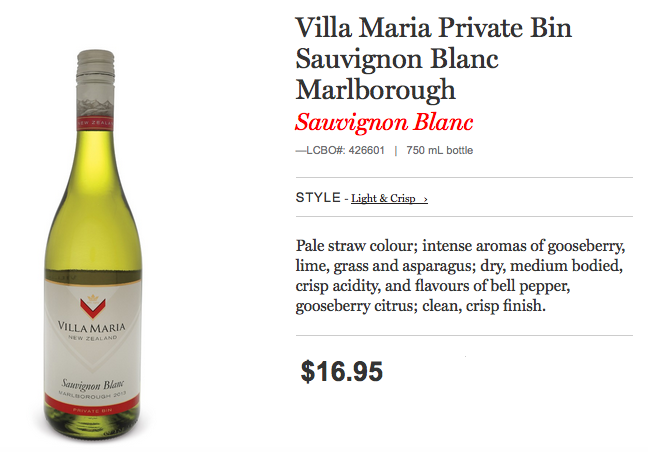 Villa Maria Sauvignon Blanc 2014, Susanne’s Wine Pick. I rediscovered a wine that was right up my alley. As a fan of Sauvignon Blanc I find myself once again gravitating to this citrus, fresh and delightful Sauvignon Blanc. The winery is Villa Maria New Zealand’s Most Awarded Winery. The wine is the Villa Maria Sauvignon Blanc 2014 from Marlborough, this is a family owned winery that is known for being a leader in sustainability and great quality.I loved it, and I picked it up for $16.95, a good buy! 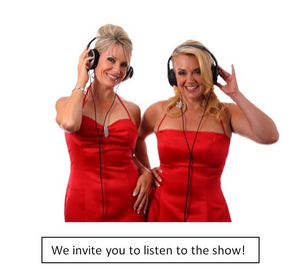 Listen to my wine review at 6:20 minutes into the show. 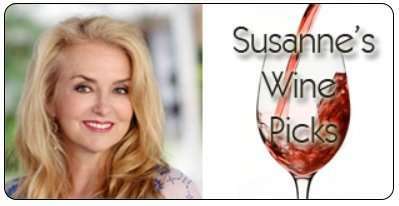 https://www.thewineladies.com/wp-content/uploads/2015/08/images_VillaMaria.png 452 648 Susanne Seelig-Mense https://www.thewineladies.com/wp-content/uploads/2017/08/WineLadiesLogoTransparent.png Susanne Seelig-Mense2015-08-08 17:34:372018-04-04 11:23:10Villa Maria Sauvignon Blanc 2014, Susanne's Wine Pick. With Father’s Day approaching I thought I would pick something that would appeal to Dad’s and their love of the almighty BBQ. I am sure that’s how a majority of Dad’s out there will be celebrating their Father’s Day and we know that Dad’s love their beef, from burgers to steaks and a rack of ribs. 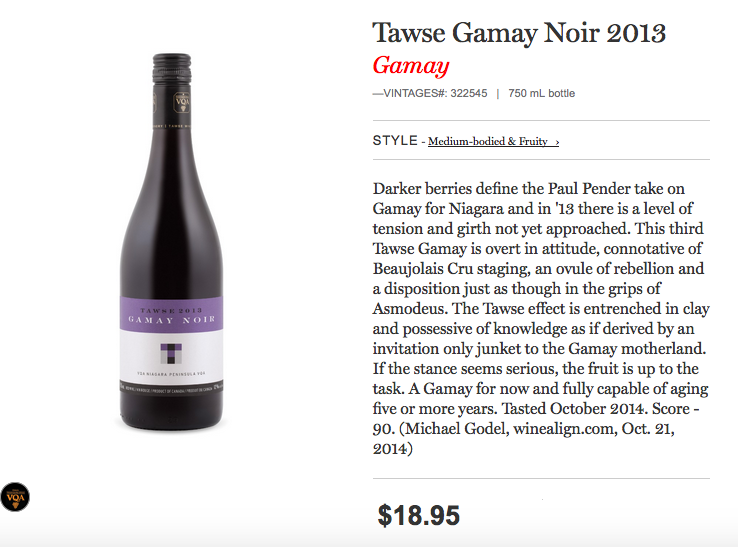 My pick to celebrate this Father’s Day is a wine that is brand new to our market. It is the Ravenswood Besieged 2013 from Sonoma California. Awhile back we had the opportunity to meet Joel Petersen,the founder of Ravenswood several years ago and it was at a BBQ! 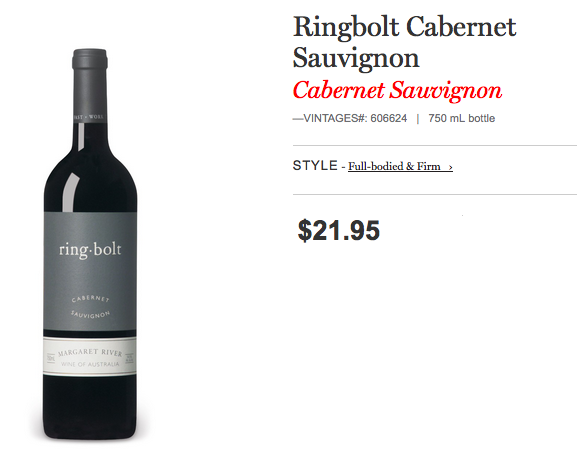 This wine is a beautiful blend of Petite Sirah, Carignane, Zinfandel, Syrah, Barbera, Alicante, Bouschet, and Mourvedre. The grapes are sourced form 6 different vineyards, including the Alexander Valley, Russian River Valley and others. The wine is big and juicy, fruit driven, ripe red berry with plenty of structuring tannins. Something super special for Dad… $24.95 here in our market. Listen to my wine review at 3:59 minutes into this week’s radio show. https://www.thewineladies.com/wp-content/uploads/2015/06/images_JoelPeterson.jpg 516 407 Susanne Seelig-Mense https://www.thewineladies.com/wp-content/uploads/2017/08/WineLadiesLogoTransparent.png Susanne Seelig-Mense2015-06-13 14:08:462018-04-02 11:14:47Ravenswood Besieged 2013, Susanne's Wine Pick. 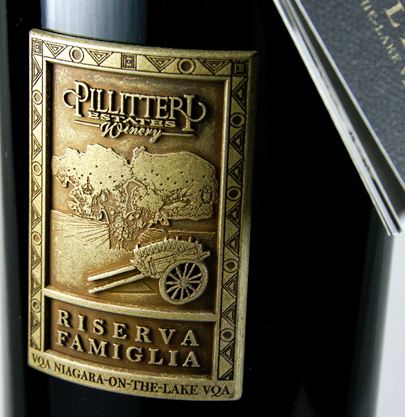 Pillitteri Riserva Famiglia Cabernet Sauvignon 2010, Susanne’s Wine Pick. 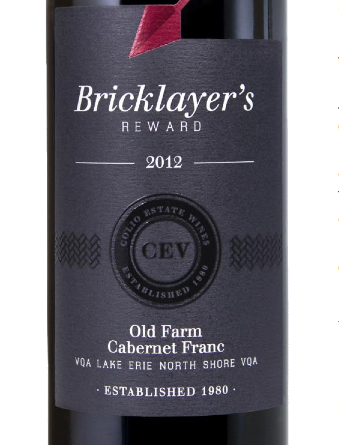 So for my wine pick this week I tried something very special this past weekend from one of our local wineries here in Niagara-on-the-Lake. 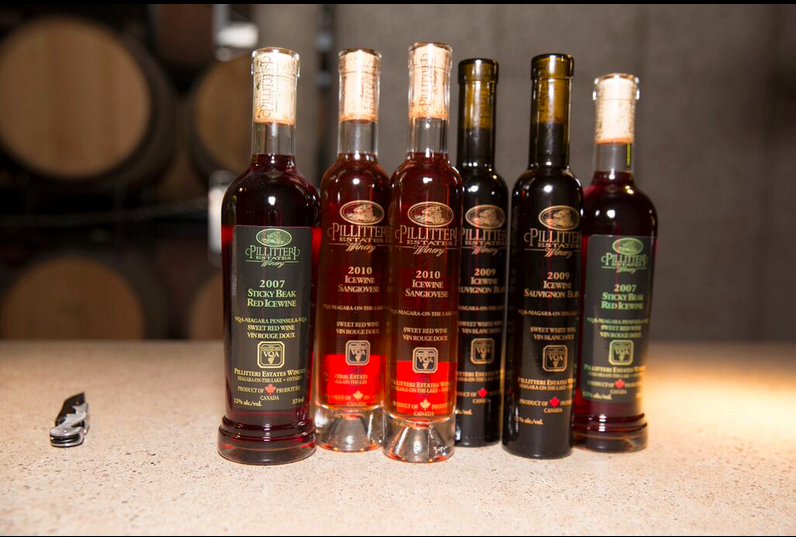 As you know back in January we had our annual Shimmer of Gold Icewine Tour and visited Charlie Pillitteri of Pillitteri Estates Winery. 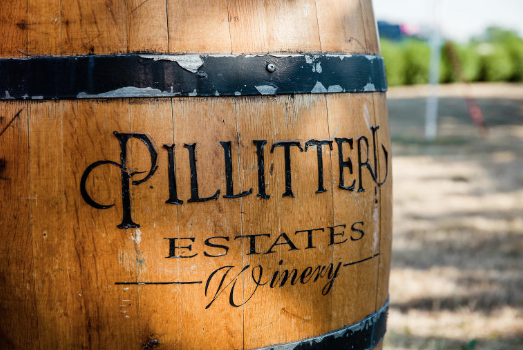 Pillitteri Estates Winery is the world’s largest estate producer of Icewine. 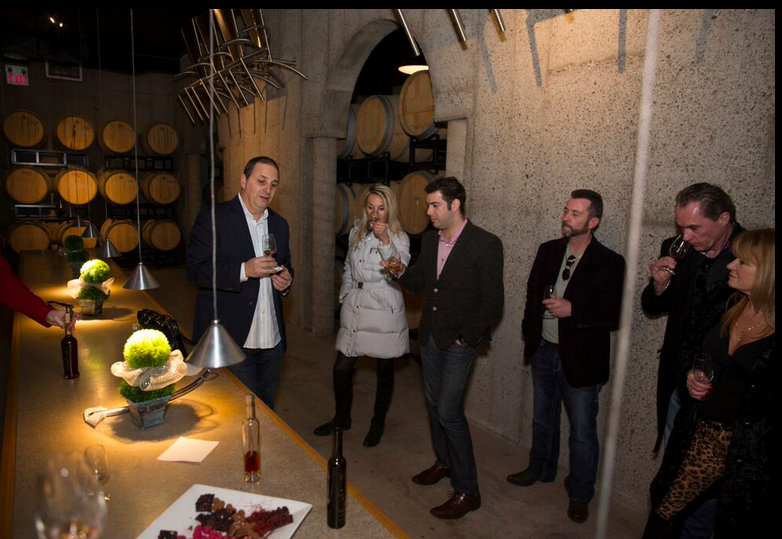 We had a beautiful tasting of Charlie’s wines in their stunning barrel room. Although there were many fine wines,the Pilletteri Riserva Famiglia Cabernet Sauvignon 2010 was a standout in my opinion. Charlie, gave me a bottle and well this weekend I tried it again. It proved to be a stunner once more!. Listen to my review at 2:58 minutes into the radio show. 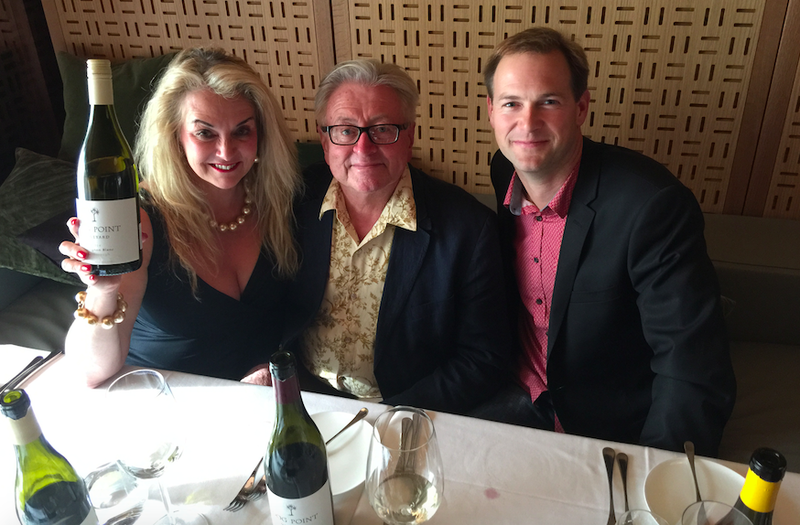 On this week’s audio podcast…Icewine, Canada’s Nectar of the Gods! https://www.thewineladies.com/wp-content/uploads/2015/05/images_Pillitteri1.png 537 796 Susanne Seelig-Mense https://www.thewineladies.com/wp-content/uploads/2017/08/WineLadiesLogoTransparent.png Susanne Seelig-Mense2015-05-03 20:24:132018-05-03 16:21:13Pillitteri Riserva Famiglia Cabernet Sauvignon 2010, Susanne's Wine Pick. 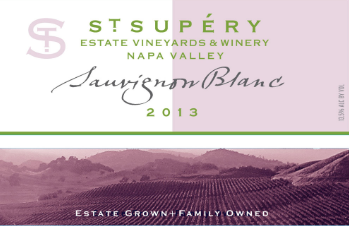 St. Supéry Sauvignon Blanc 2014, Susanne’s Wine Pick. So Georgia and I recently attended the Wines of California tasting and hit upon a couple of “hits” one of which I’ve chosen as my wine pick.For me as a huge Sauvignon Blanc fan… one of the very first wines I tasted happened to be one of my faves….It was the St. Supéry Sauvignon Blanc 2013.Just $24.95 in our market, and worth every penny. I believe the 2013 is still in stores and the 2014 should be arriving soon. 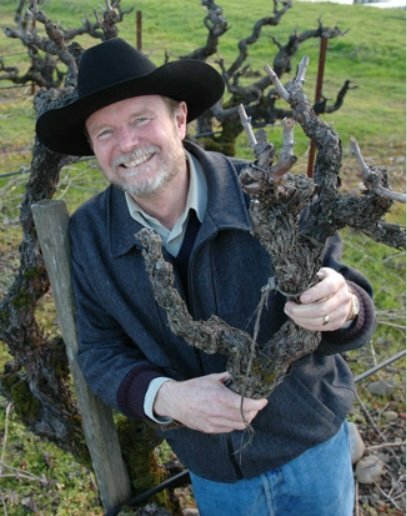 St Supery Estate Vineyards & Winery is a family owned business and they’re located in Napa Valley in the Rutherford growing region and all their wines are estate grown and produced. This Sauvignon Blanc was so tantalizing on the nose and in flavor with intense citrus notes, grapefruit, lime and lemon and brilliant freshness, simply delicious! A bonus for me, with Earth Day being today these guys are certified Napa Green. Listen to my review at 4:05 minutes into the radio show. A taste of Italy…Amarone,Grappa and Italian cuisine. https://www.thewineladies.com/wp-content/uploads/2015/04/Screen-Shot-2018-05-01-at-9.18.59-PM.png 201 720 Susanne Seelig-Mense https://www.thewineladies.com/wp-content/uploads/2017/08/WineLadiesLogoTransparent.png Susanne Seelig-Mense2015-04-26 21:10:592018-05-01 21:20:59St. 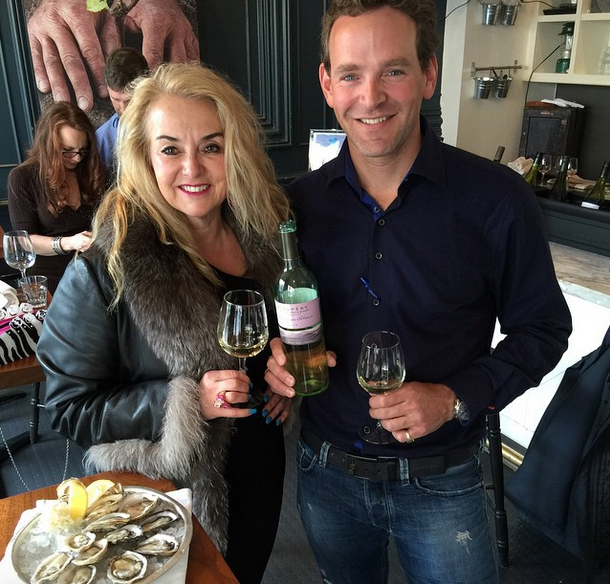 Supéry Sauvignon Blanc 2014, Susanne's Wine Pick.